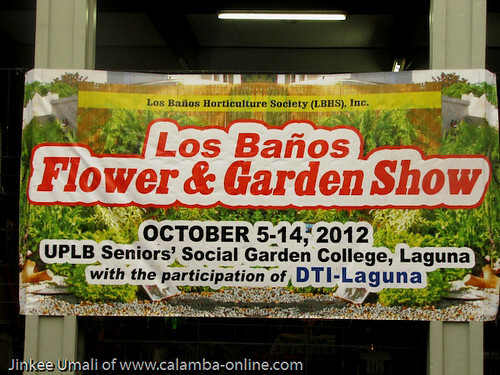 As the year 2012 reach its last quarter, the Los Banos Horticulture Society (LBHS) has their own way to make it momentous by hailing the Los Banos Flower and Garden Show from October 4 to October 14, 2012. Given time, our family eversince always anticipating the said garden show twice a year – one in summer and the other one this October. 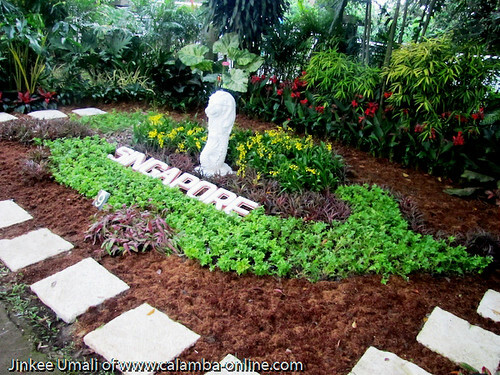 Even we do not have a large garden to look for at home, great places like garden which were intricately prepared by famous landscapers in town gave us the feeling of warm, inspiration and feast to our senses just by visiting the place. 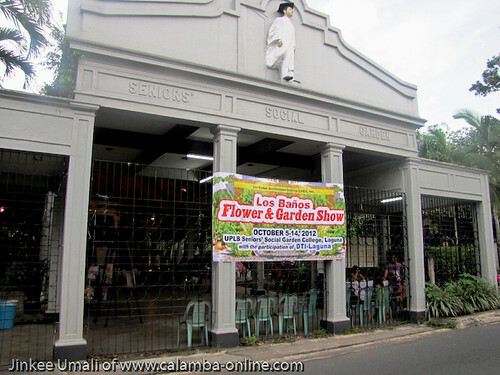 This will be held once again at the Senior’s Social Garden at the campus of the University of the Philippines in Los Banos. 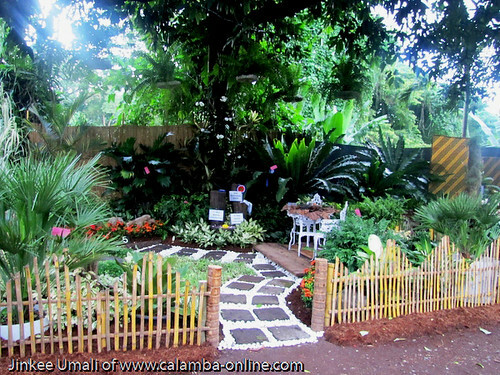 The said garden show would concentrate more on Asian inspired theme with the use of bamboo elegantly prepared by the LBHS members. 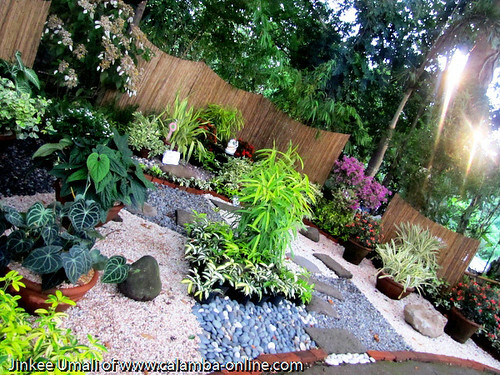 When hubby visited the ribbon cutting ceremony last October 4, he invited me again to take a second look last weekend. 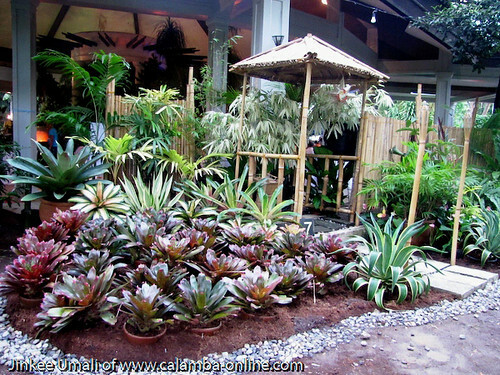 I was not disappointed yet amazed again how landscape designers play around with those plants creating those nature ambiance of relaxation. 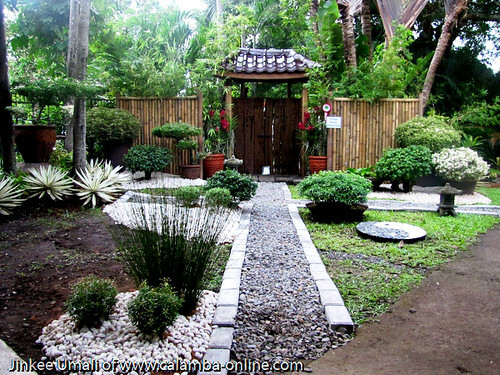 It is actually travelling to different Asian countries where plants, flowers and bamboos highlighted the landscape design. There are also free learning every weekend where lectures were given by well-known landscape designers. 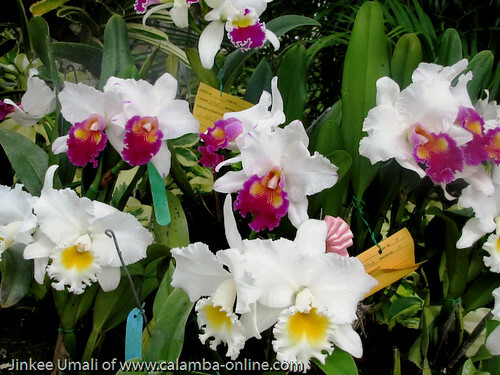 This is also a time for me to get a dose of those plants like different orchids from Cattleyas, Vandas, Phalaenopsis, Dendrobiums. 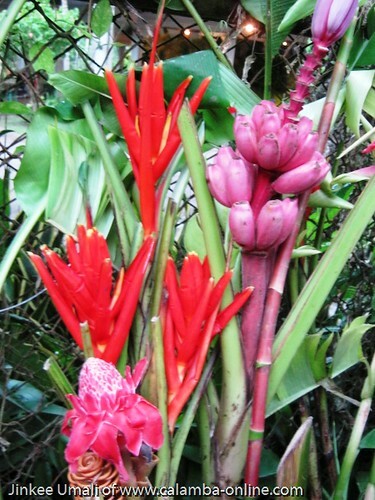 Flowers like Anthuriums, Chrysanthemums, Bromeliad, Hibiscus and many more that will give a feeling that flowers are still in bloom even in rainy days. 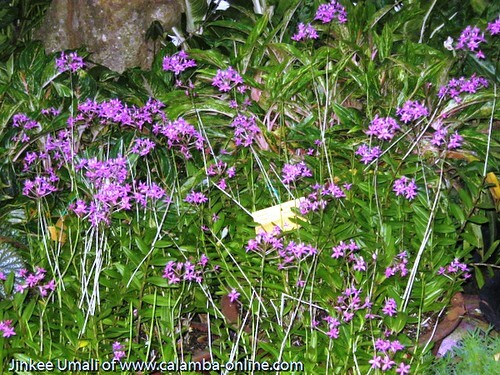 Garden plants and native products are also sold during the event proper at affordable price. 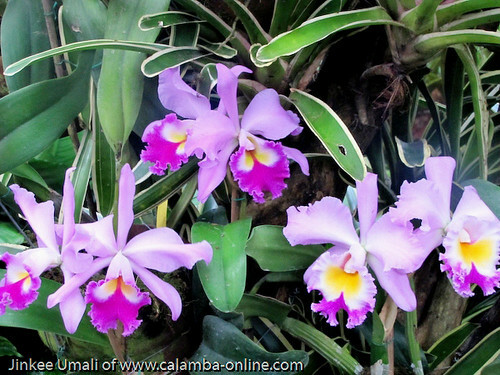 My love to plants give me the feeling to be back in nature. Maybe because gardening will always be a part of Filipino culture which I owe it to my mother who taught me how to take care of plants. 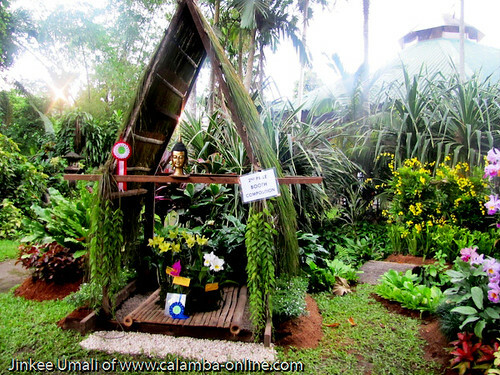 If you happen to drop by here in Laguna, do visit Los Banos Flower and Garden Show as part of your itinerary. It is a stimulating activity afterall. 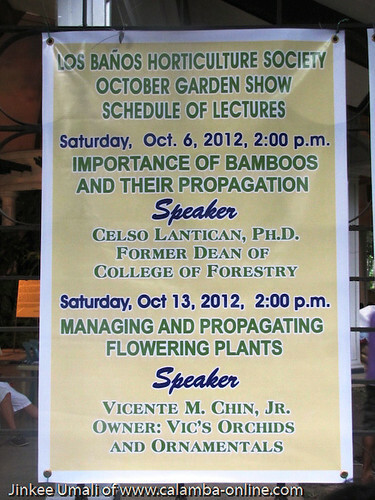 For further information, you could send me a message here by posting a comment since I am also a member of Los Banos Horticulture Society or to Dr. Benito Vergara at bsvergara@gmail.com. Good day! We’re interested to join this years Garden show. We would like to sell healthy and organic dishes. Sino po ang pwede ma contact for this. Thank you!